Your thyroid is responsible for a number of important tasks, including the production of critical hormones that help to regulate bodily functions like your metabolism. If your thyroid isn’t working correctly, symptoms and other issues can develop, but it takes a specialist to figure out what’s going on with your thyroid. Maybe it’s underproducing hormones, maybe it’s making too many hormones, or maybe you have a tumor or an underlying autoimmune deficiency. To get to the bottom of your condition, your thyroid specialist may order a variety of different tests. Today, we take a closer look at the types of diagnostic tests they have in their arsenal, and why they may be beneficial for spotting certain conditions. Here’s a look at a number of different tests your thyroid specialist may use to make an accurate diagnosis. Blood Tests – One of the more common ways to diagnose certain thyroid conditions is with a blood test. Blood tests can check for thyroid stimulating hormones and certain thyroid antibodies. These can detect conditions like hypothyroidism or hyperthyroidism, and the antibody testing can be used to detect Graves’ disease or Hashimoto’s disease, which contribute to the two previously listed conditions. Ultrasound – An ultrasound is another useful tool in the diagnostic process. An ultrasound can be a great device to detect the presence of a thyroid nodule, which is a bump or growth in the neck. Based on the location of these nodules, your doctor can get a good idea of whether or not they are cancerous, although further testing is usually conducted to confirm. This painless test uses sound waves to replicate a picture of your thyroid on a screen. 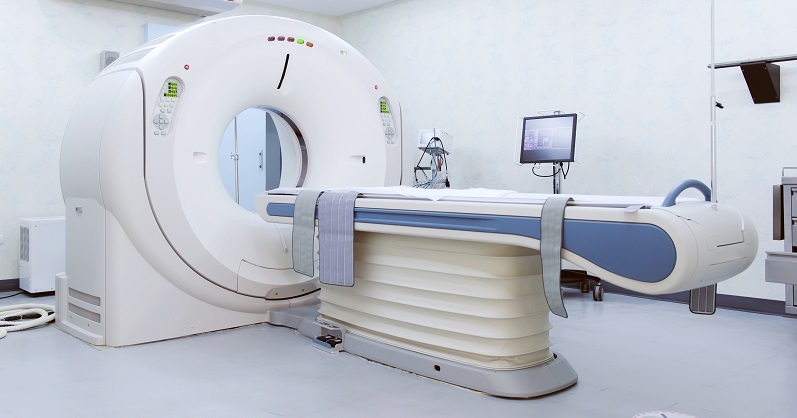 MRI – An MRI may be ordered to get a closer look at your thyroid or parathyroid gland. This uses radio waves and a computer to create a detailed picture of the neck. This will allow doctors to distinguish between healthy tissue or damaged tissues. It is also helpful at determining the presence of thyroid nodules. Thyroid scan – This test helps doctors visualize the size, shape and position of your thyroid gland. This test involves giving the patient a small amount of radioactive iodine, which is then absorbed by the thyroid. After enough time has passed, a special camera is used to take pictures of the thyroid, which is then produced on a computer screen. These tests are used to determine how well the gland is functioning and its structure compared to what is expected. Thyroid Biopsy – If a thyroid nodule is detected, a biopsy will be ordered. This involves sticking a very thin needle into the neck and nodule to collect tissue samples. These samples are then tested to determine if the growth is cancerous or noncancerous. This test can typically be performed in under 30 minutes. These are just some of the tests your thyroid specialist may order if they suspect that you are dealing with a thyroid problem. These tests can help you get a grip on your specific condition and make a plan for successful treatment. If you believe you have an issue with your thyroid, or you’ve been given a referral for thyroid care, reach out to Dr. Koeplin’s office today for all your diagnostic and treatment needs.